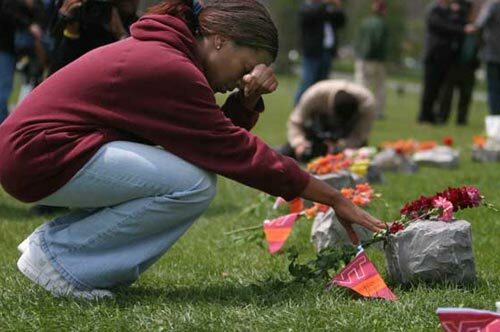 The Virginia Tech Massacre occurred on April 16th, 2007, at Virginia Polytechnic Institute and State University in Blacksberg, Virginia. It resulted in 32 deaths (not including the gunman) and 17 injuries and was the worst shooting by a single gunman in America’s history. The shootings occurred at two different times in two different buildings. The first, in which two people were killed, was committed in a dormitory at around 7.15am. The second happened at around 9.40am in a classroom building and took 30 lives. Police arrived at the campus at around 9.45am but, due to the shooter having locked the doors to the building, spent five minutes entering the building. When they did gain access the shooter killed himself. The shooter was found to be a senior at the college named Seung-Hui Cho. Between the two shootings Cho had returned to his dorm to change his clothes, clear his computer, and rearm. He also sent a package to the media containing videos and some of his writing. Of the 32 people killed, 27 were students and 5 were teachers. Eyewitness accounts of the incident include efforts made by teachers trying to lock doors to keep the shooter out of classrooms and allowing students time to escape from windows. 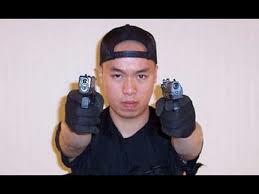 The identity of the shooter did not surprise some as Cho had a history of troubled and troublesome behaviour. He appeared to have an intense dislike of himself (he occasionally gave his name as ‘Question Mark’) and others, and his behaviour swung between deliberately distant to menacing. His writing often centred on an inability to communicate and violence, including references to the shooters at Colombine High School, and he had been warned about stalking girls on campus. Teachers had recommended he attend counseling, and some had expressed greater concern, including for their safety. At the end of 2005, 16 months before the incident, Cho had been formally assessed as ‘mentally ill and in need of hospitalization’. Despite the problems surrounding Cho, he was allowed to purchase two firearms and a stock of ammunition as Virginia only blocked weapons purchases if a person had been involuntarily committed. He had only been asked to show his US residency card, drivers licence, and cheque book. The ease with which an individual with recognised psychiatric issues was able to buy weapons before committing a mass shooting once more brought attention to America’s gun laws. Calls for a ban on handguns once more failed to make ground in US politics, but there was some change in gun laws: it became illegal to sell weapons to criminals and the mentally unsound, and enforced background checks were to be introduced on all private gun sales. An area of controversy that arose from the shootings was the effectiveness of ‘Gun Free’ zones, in which guns are not allowed in a particular area (such as a school). Advocates of the rule said it makes places safer and weapons should be kept out of public spaces; critics say it encourages soft targets in which a shooter knows he won’t be challenged. Virginia Tech had declared itself as ‘gun free’, and a proposed law to allow students to bring weapons onto campus in Virginia had failed in 2006. 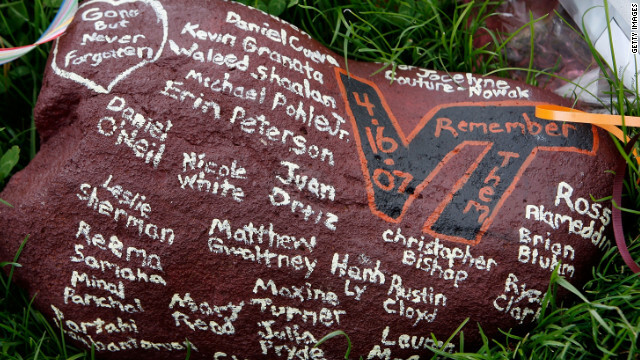 Virginia Tech did not remain as America’s most deadly mass shooting for long: in 2016 it was superseded by the shooting at the Pulse nightclub in Orlando.